3 Day 12% Sale ENDING! Sorry you missed this Sale opportunity. Subscribe to stay connected for next time! We hope everyone is enjoying Summer activities while managing the heat wave! For those who need a break we’re having a WHALE of a Sale Event! Cindy’s Threadworks on-line Thread Candy Shoppe & More is OPEN NOW! Apliquick© Tools or Apliquick© ToolKit or supplies. Click for Canadian Quilter published article. to see discount total for shopping cart. All notions & appliqué supplies @ 12% OFF! Amazing ergonomic comfort & quality. Small Perfect© Green Scissors...both petite precision. 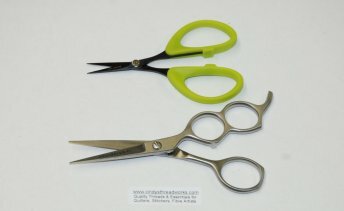 ALL scissors in our shoppe @ 12% OFF! 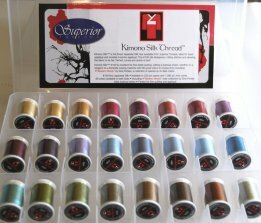 or stock up on ANY THREADS in our shoppe @ 12% OFF! 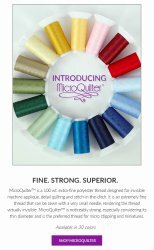 Click for Canadian Quilter MQ published article. 24 SILK SET (Extra 12% OFF) Really! 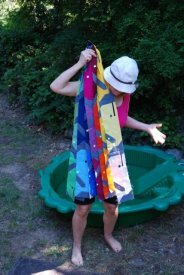 Click for Canadian Quilter published SILK article. INSPIRATION FOR OUR WHALE-OF-A SALE! Recently I created a child sized quilt for my grandson turning 2 years this fall. Rows and Rows of Preppy Whalers. Such fun. Inspired? 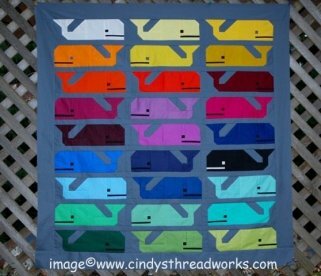 Click here or image if you’d like the Preppy Whale Pattern for yourself. See alternate Preppy POD Pattern! Other Patterns favourites & brand NEW to the quilting market--take a peak! Visit Cinderella Blog Page for Tips of this Project-in-Progress (NOW POSTED). So far MasterPiece, SoFine & Bottom Line threads were used to piece the blocks. What will Cinderella choose for top quilting? Stay tuned. Or click NOW to follow us on FaceBook if you have an account; scroll down for posts. Reminder: 12% OFF Coupon Offer Expires THURSDAY, August 2nd midnight. Upon Checkout Insert ‘Summer’ Code in Box. Orders (usually) posted daily Monday to Friday. 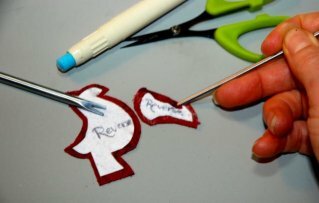 Happy Quilting, Stitching & SAVING!